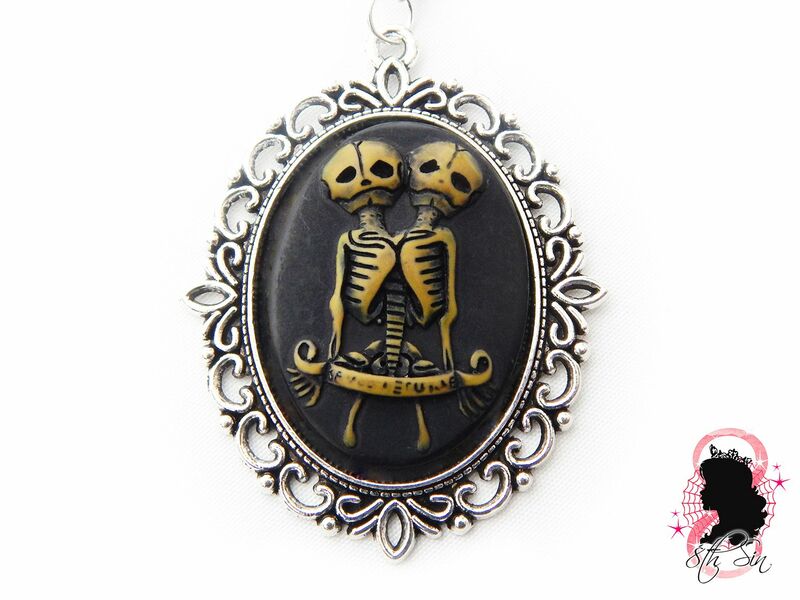 This is an antique silver necklace featuring a black conjoined twin cameo in a silver filigree frame. We also make a matching brooch, please check out our other listings if you are interested. 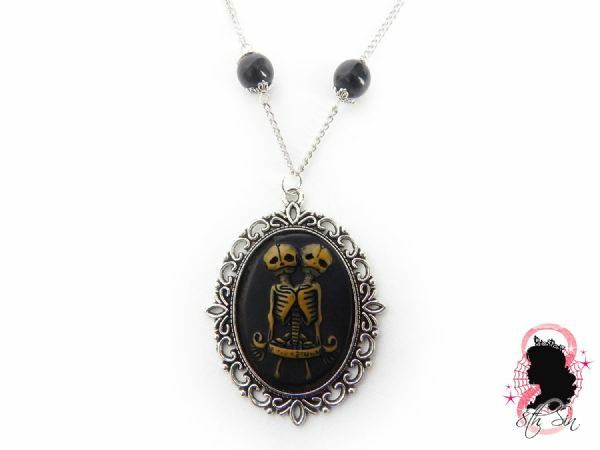 Made with silver plated findings, resin cameo and glass pearl beads, it fastens with a silver lobster clasp. 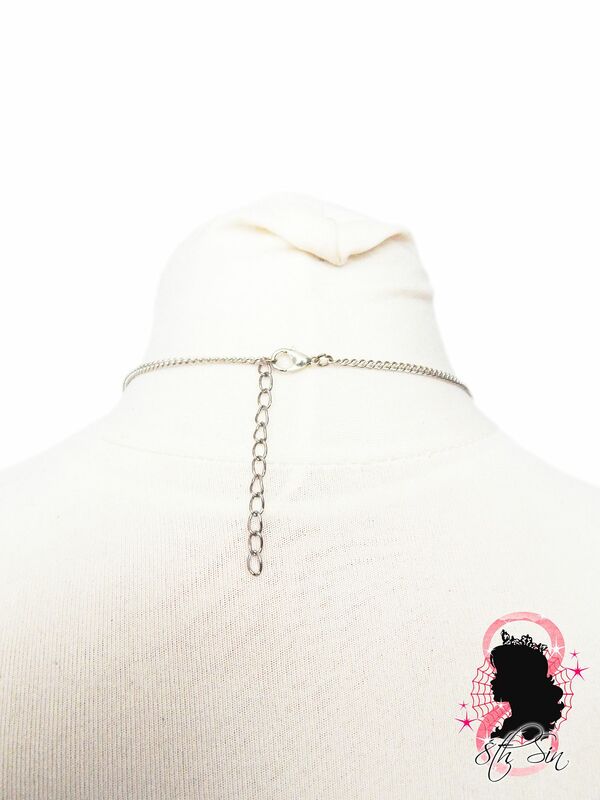 The necklace length is 20"-22" including a 2" extender chain allowing you to adjust the necklace length. Custom lengths are also accepted, simply leave your desired length in the "Note to seller" part of checkout. 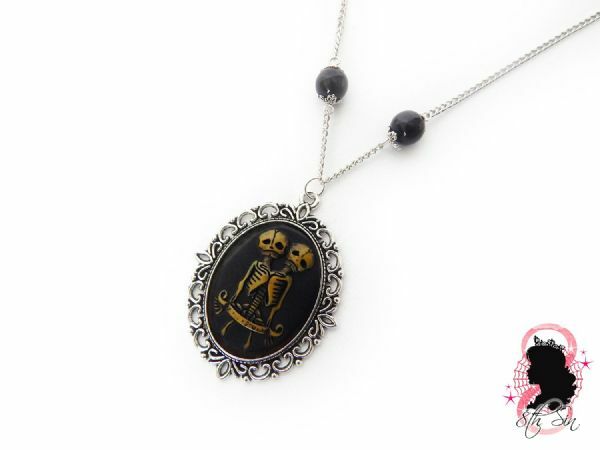 The conjoined twin pendant including pearl beads measures approx. 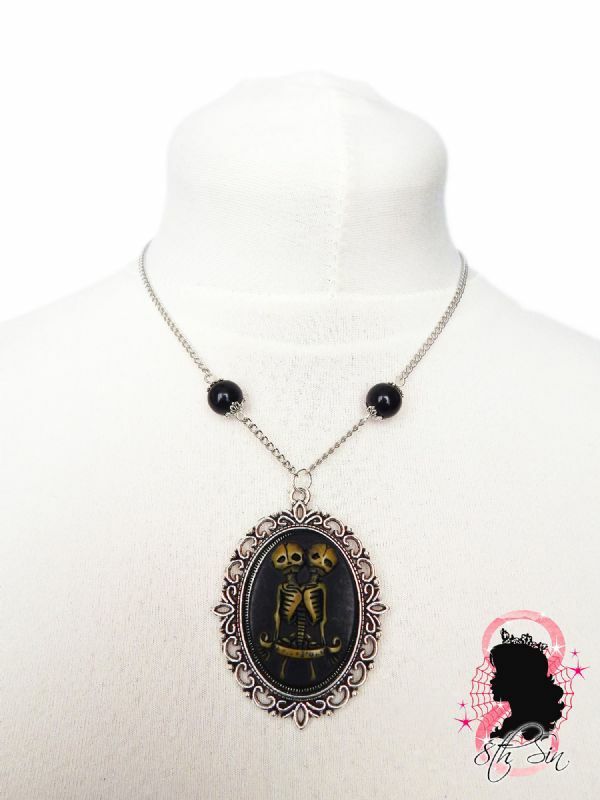 4" in length; the total length of the cameo and frame not including pearl beads is 2.5".